My paternal grandfather was born in 1873 and so my roulette number is 19. That is my great-great grandmother, Sarah C. I think that the ‘C’ might stand for Champ — her daughter’s middle name was Champ. 1) She was married to George Ferris. 2) She was born around 1821 in England. She and George eventually made their way to Iowa. 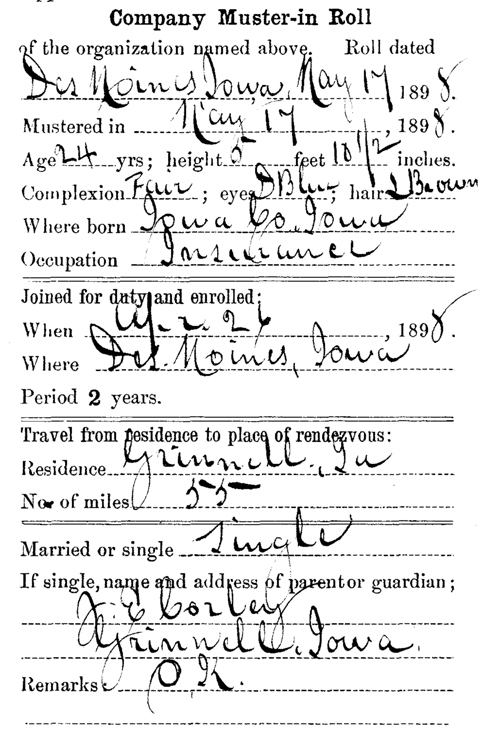 3) It appears that Sarah and George adopted a son — the 1880 census shows them with three children at home and one is denoted as “Adopt Son.” I’ve never seen such a notation before. Not too long ago, I requested my paternal grandfather’s military service record from NARA. This may seem silly to those who know where I live and work, but I’m an impatient soul and wasn’t willing to wait for records that I wouldn’t have had the time to search out myself for months and months. My grandfather served during the Spanish-American War in the Iowa Infantry. The CD containing his records arrived from College Park today and revealed new details about my grandfather as a young man. The image above is from my grandfather’s military service record (his name has been cropped out for privacy/security purposes). Several things are revealed here. I knew my grandfather was a physician later in his life, but this card shows that he was working in insurance when he was 24. 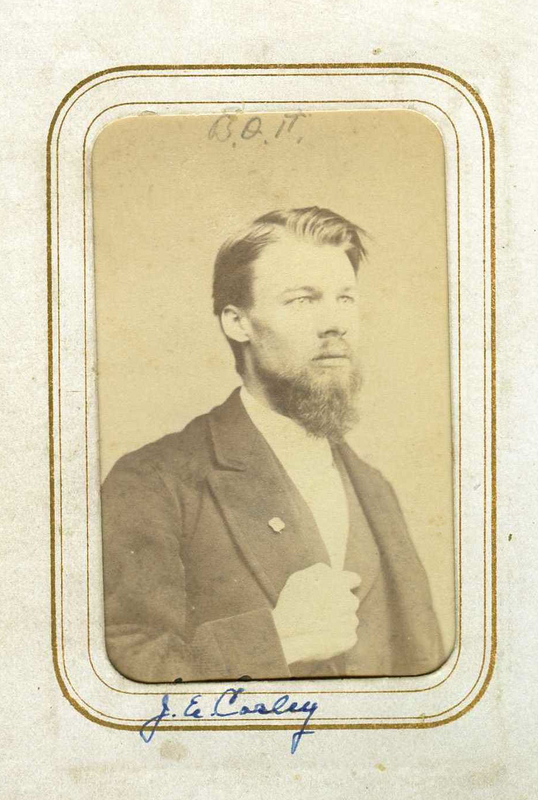 This card also gives his residence as Grinnell, Iowa, in 1898. The name of this town is new to me and apparently his father also lived there at the time. In 1890, they were living in Morning Sun, Iowa, about 120 miles away. By the 1900 census, my grandfather is in Philadelphia (at medical school) and my great-grandparents also had moved to still another town in Iowa. So now I have a new area in which to search for records of my Corley ancestors out in the Midwest. It looks like the Grinnell Public Library will be a good place to start. Other details revealed elsewhere in the service record include the fact that my grandfather spent a lot of time working in the recruitment office. 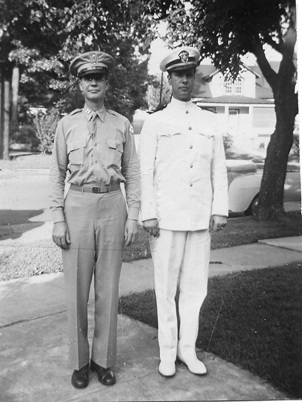 He eventually was promoted to the rank of corporal. One discrepancy I noticed is that his place of birth is not what I have found documented elsewhere. Next steps include resolving that birthplace discrepancy and accessing the pension application my eventually widowed grandmother filed. Interestingly enough, it was filed under the Civil War pension system. I’m betting that I also had ancestors on one or both sides of the Civil War, but I haven’t collected/found proof of this yet.